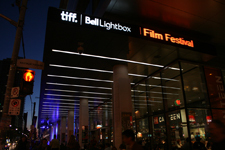 The 36th annual Toronto International Film Festival kicked off on Thursday, September 8th, and runs right through to Sunday, September 18th. 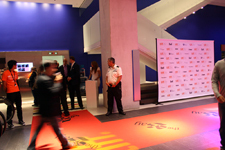 The event is touted as the world’s leading public film festival. 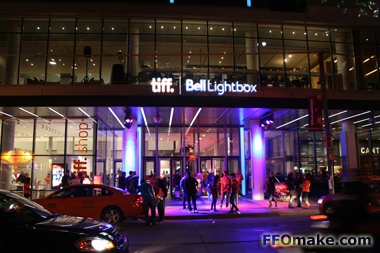 We at FFOmake have been attending TIFF for the past few year’s now, and it truly is a paramount gathering of filmmakers, industry and fans. 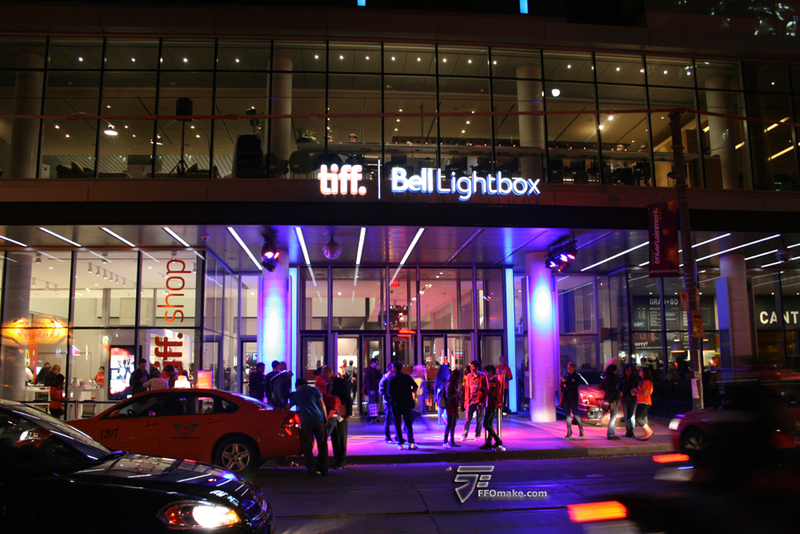 A film festival of this calibre obviously comes with all the buzz and anticipation, which is to be expected, but there is just something special about TIFF that makes it larger than life. 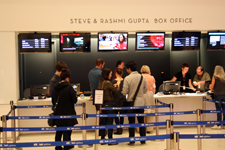 From a fan perspective, it is a very memorable experience if you attend any of the screenings or other festival-related events. Torontonians are truly blessed to have an event of this magnitude in our city. 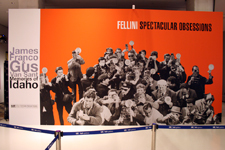 It seems with each passing year more Japanese films are being screened at the event. 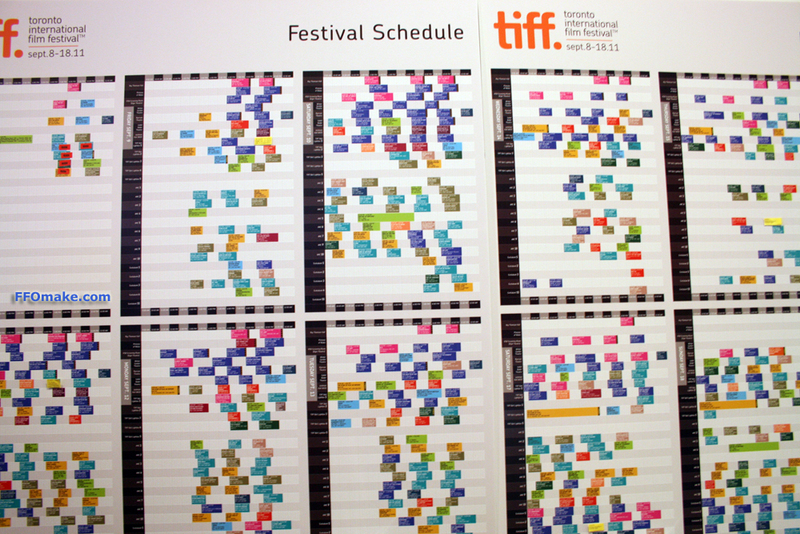 This year's lineup of movies from the land of the rising sun was quite impressive. Understandably, TIFF does not always screen Anime, as was the case last year. 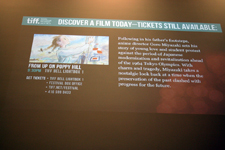 This year’s festival was a complete turnaround and shock for most anime fans, as it was announced they would be hosting the World Premieres for Studio Ghibli's From Up On Poppy Hill, and Production IG’s A Letter To Momo. FFOmake had the opportunity of catching both of these premieres last week. 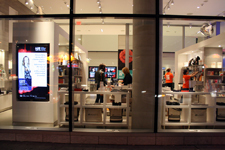 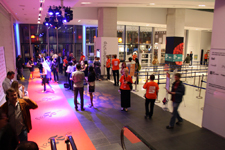 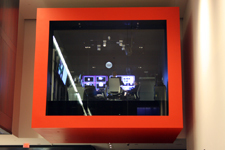 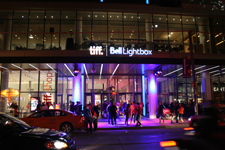 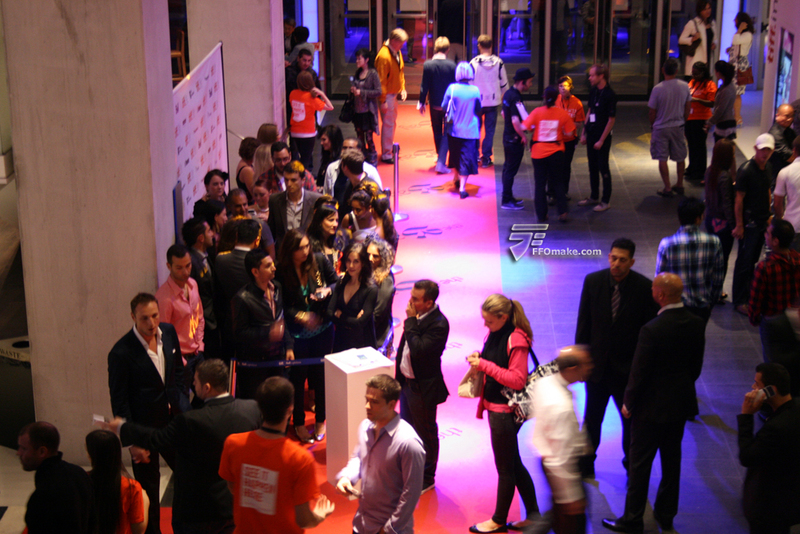 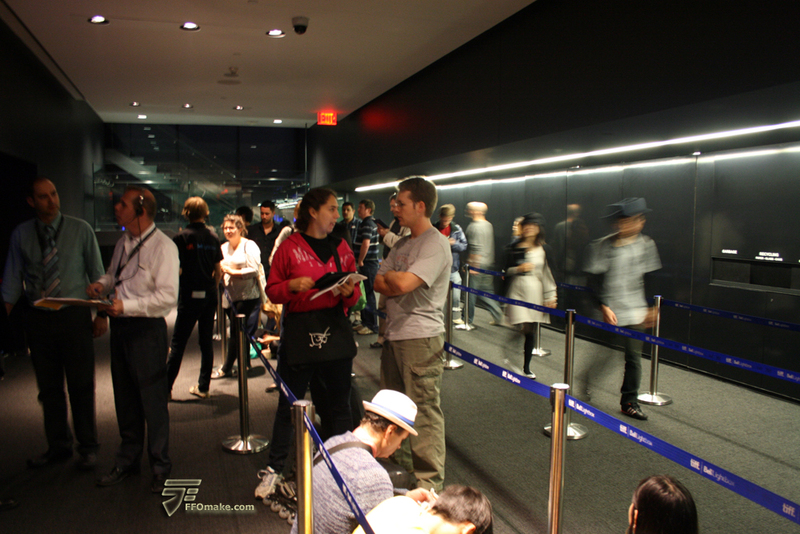 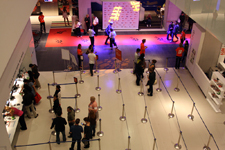 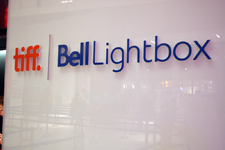 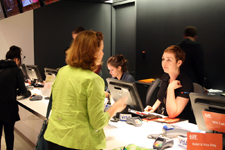 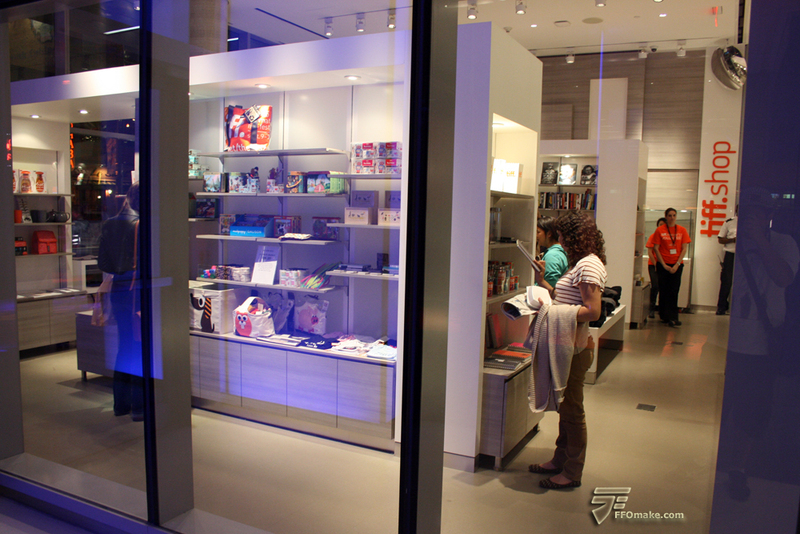 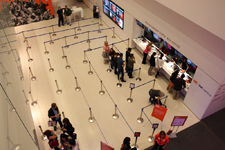 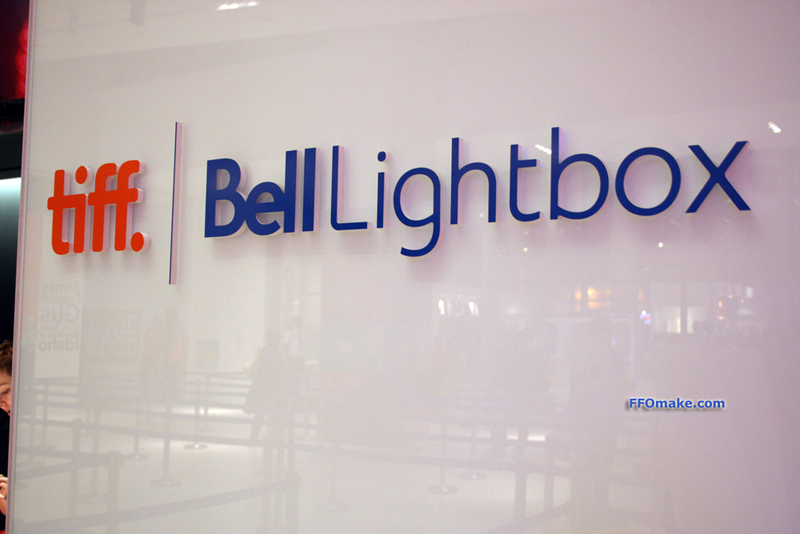 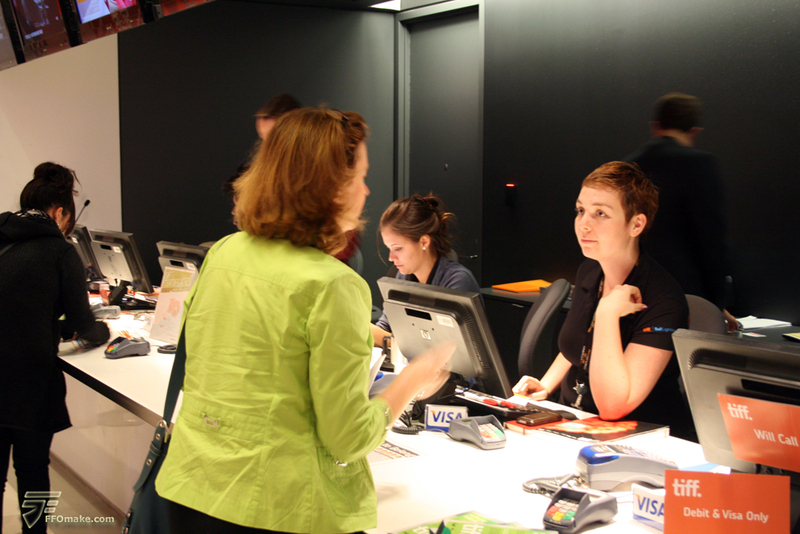 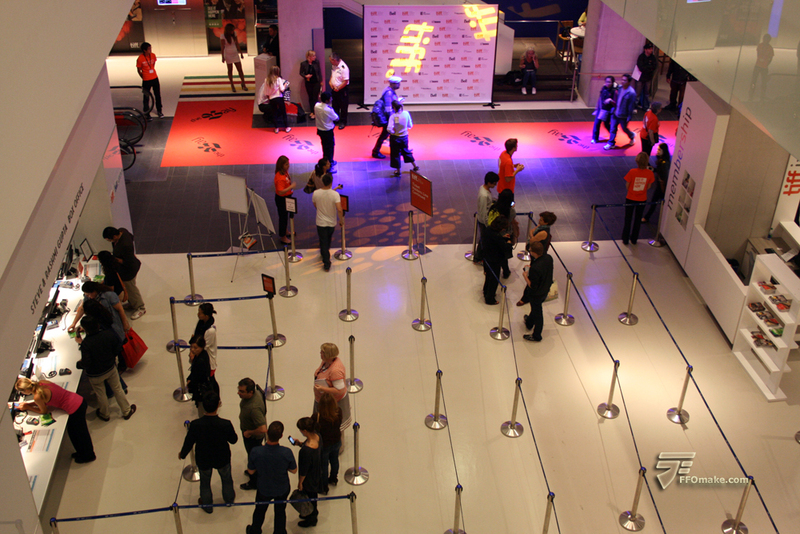 The TIFF Bell Light Box opened its doors to the public on September 12, 2010, and in just over a year has established itself as a benchmark for entertainment and movie venues. The building was designed by KPMB Architects based in Toronto, and put simply is an absolute sight to behold. 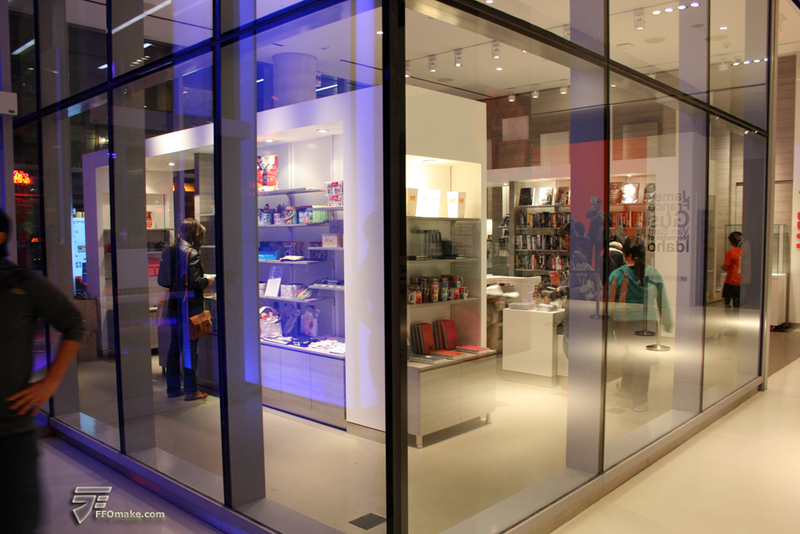 The overall design of the building is quite simple and functional, but it is in this where its true beauty resides. 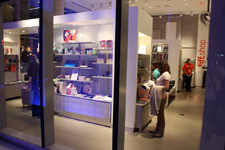 The plain, simple and minimalist design approach owes a lot to present-day Japanese Aesthetics. 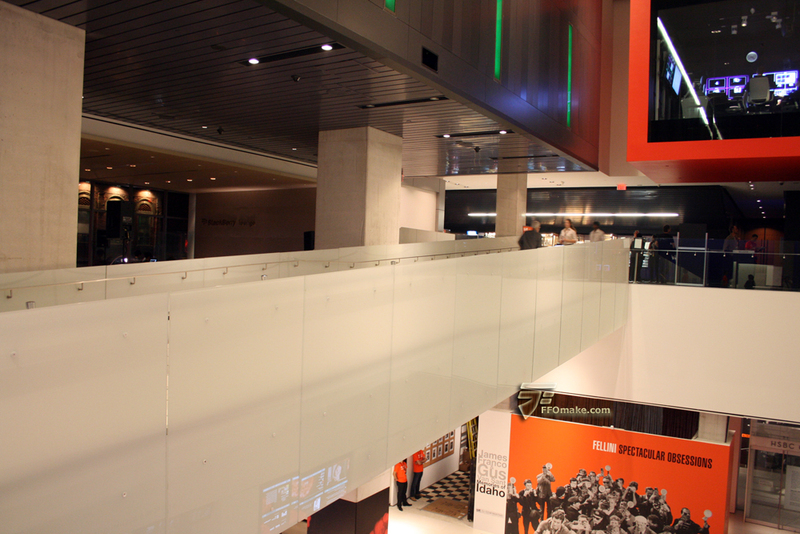 The facility houses 5 public cinemas, a bar, bistro and lounge; as well as 3 learning studios and a hub for students and scholars. 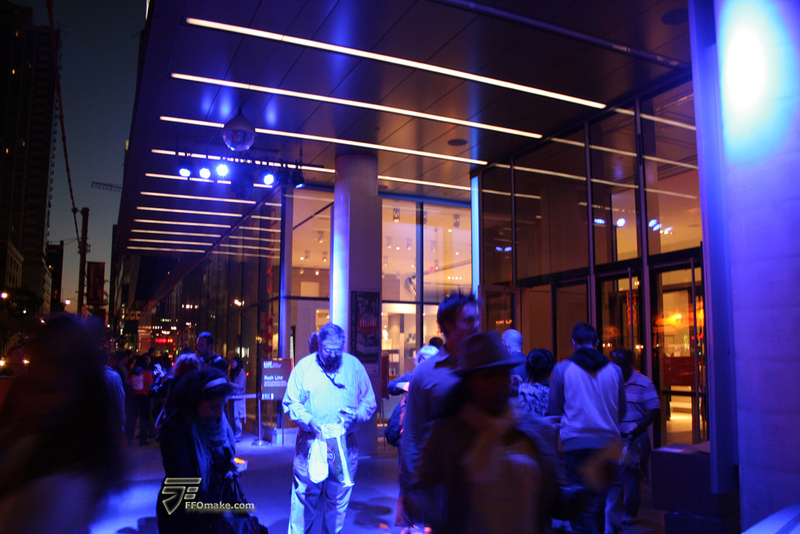 It is located in the heart of downtown Toronto at the intersection of King and John Streets. 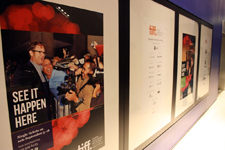 Besides the recent Toronto International Film Festival, the venue has played host to other high-profile events such as a recent Tim Burton Gallery and Exhibit. 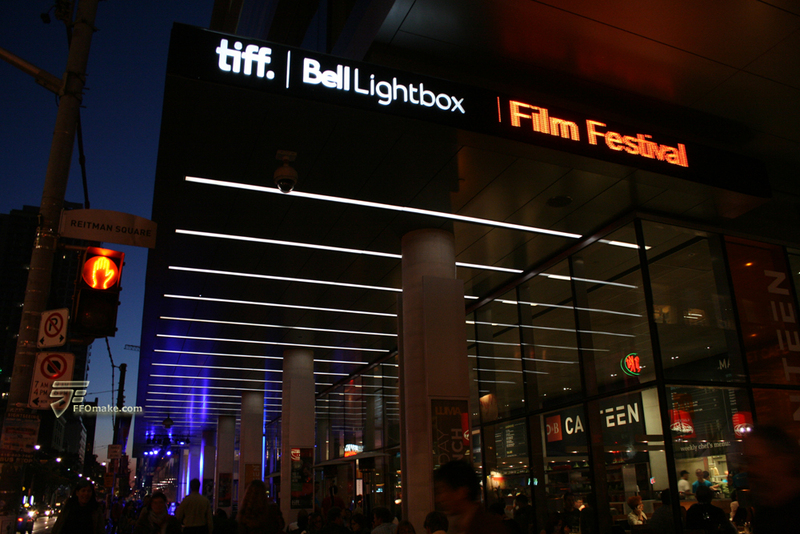 Since I live within 15 minutes' walking distance, I'm almost ashamed to admit it took me almost a year to finally visit the TIFF Bell Light Box. 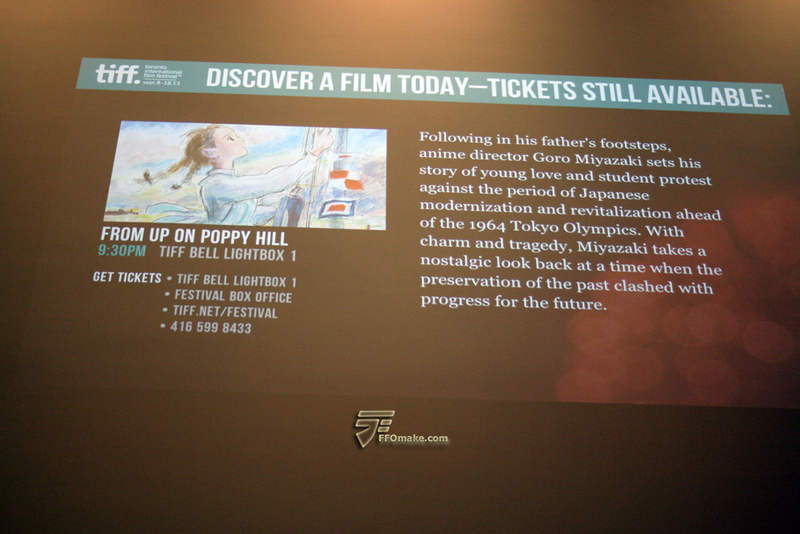 From Up On Poppy Hill, Studio Ghibli’s latest animated feature, directed by the son of the famous Hayao Miyazaki, debuted at TIFF 2011 on September 8th. It was the World Premiere for the film and it screened at 9:30 pm EST, at the TIFF Bell Light Box. 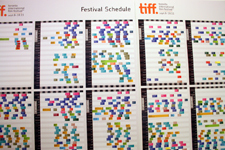 The other Anime that screened at the festival, Hiroyuki Okiura's A Letter To Momo, had its International Premiere on September 10th. 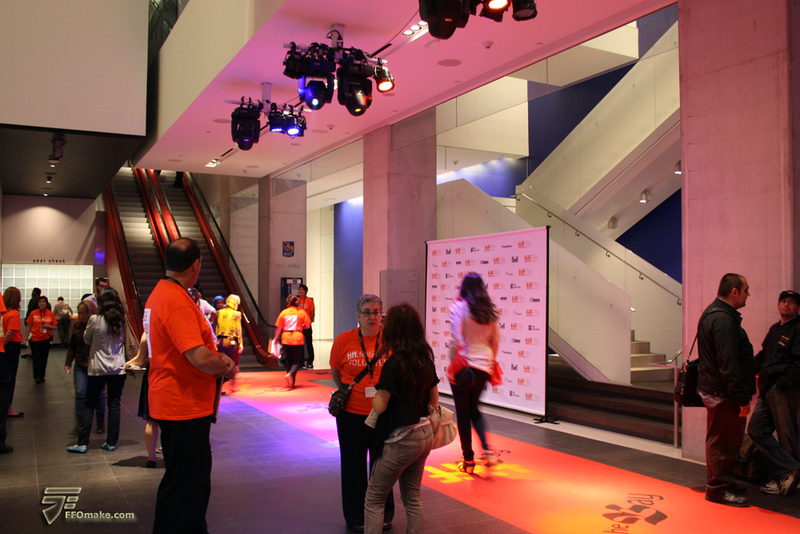 The venue for this film was the AMC Theatres at Yonge and Dundas Streets. Here is a list of Japanese films that screened at TIFF 2011, as well as pictures from opening night at the TIFF Bell Light Box.